We keep forgetting about Sauced. But we finally remembered and decided to go with Kevin’s parents. 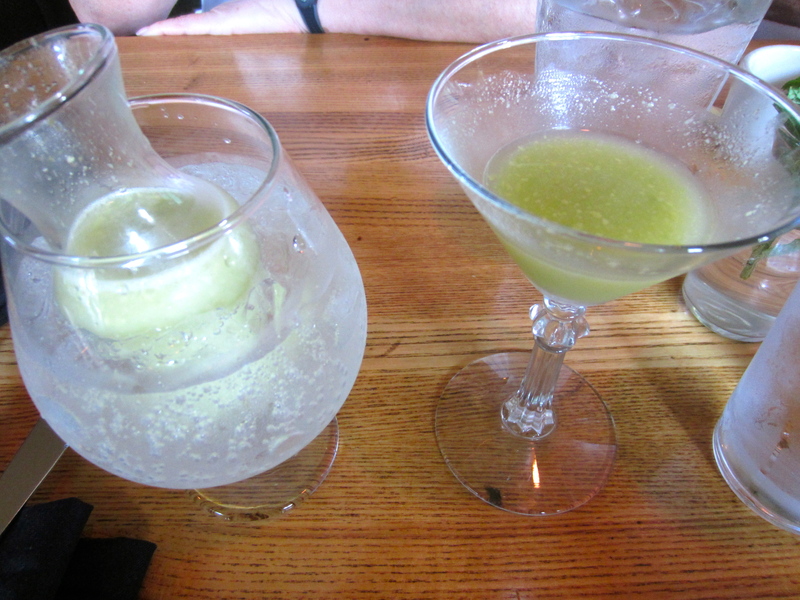 I started off with a lovely cocktail that had muddled avocado in it. We had a couple of starter munchies. 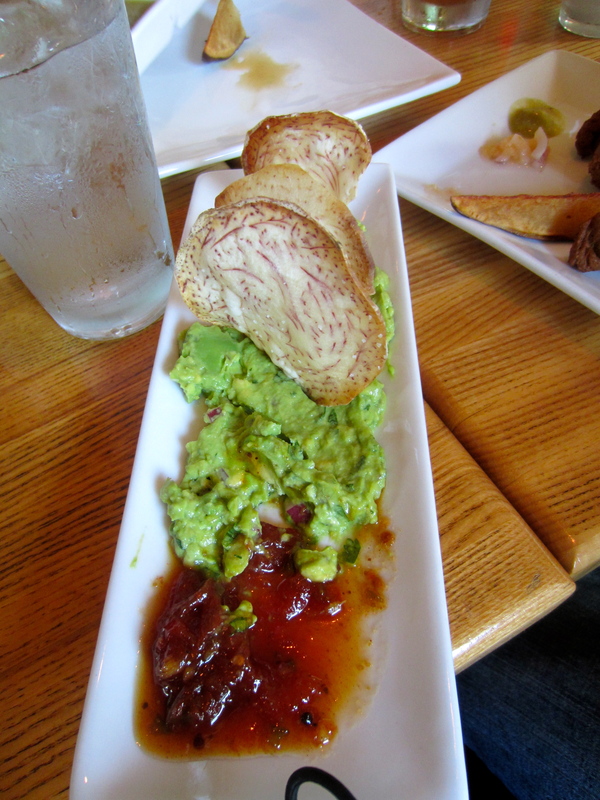 Guacamole with taro chips and tomato jam. The tomato jam look it to the next level. Oh, whoops. 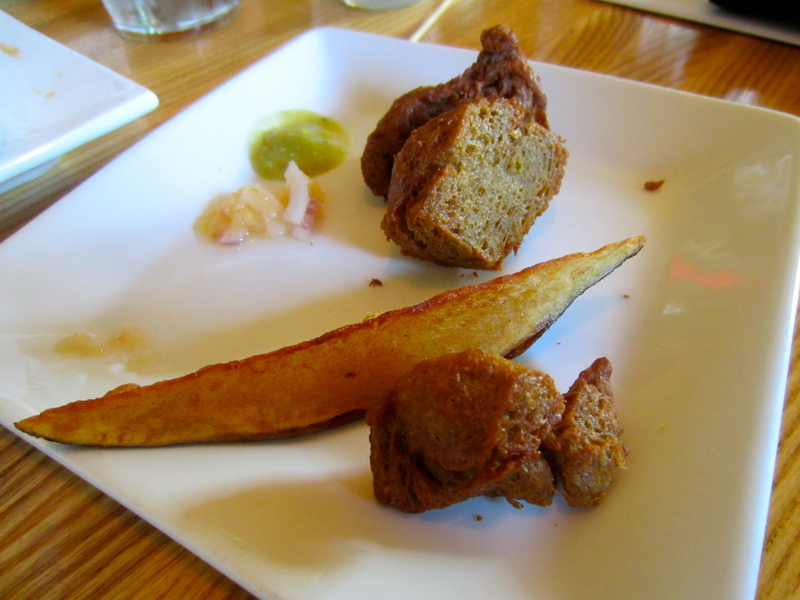 Forgot to grab a pic of the seitan and potato skewers before we started digging into them. So here are some bits and pieces. 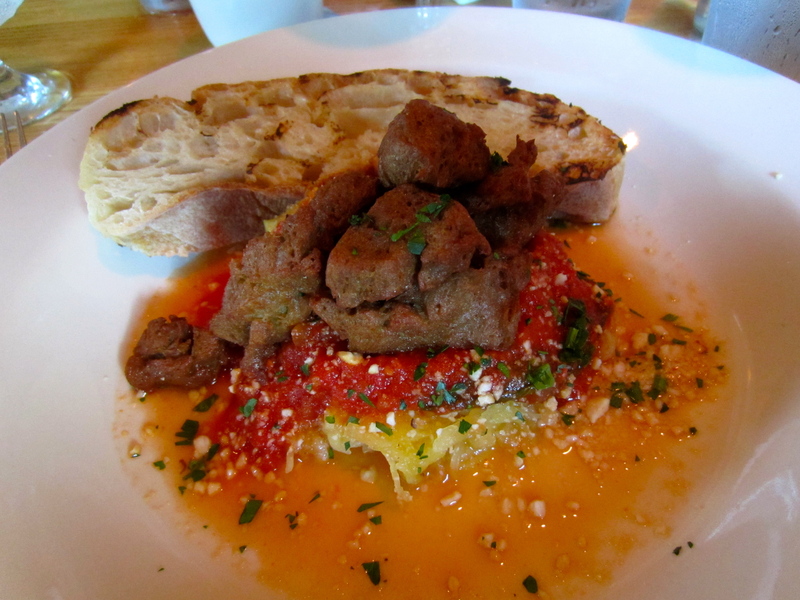 Kevin and I both had the Sketti and Neatballs, seitan in a red sauce over spaghetti squash. Destroyed. I need to try making spaghetti squash again. 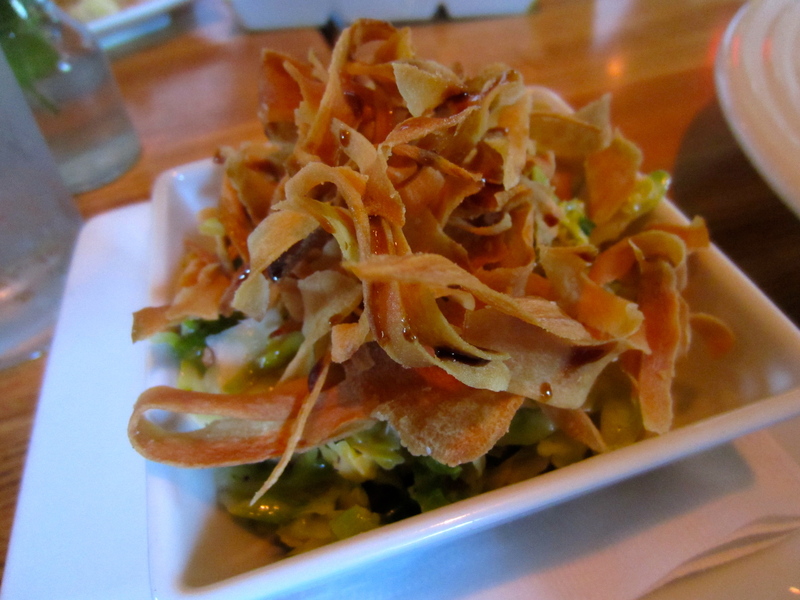 And this was a brussels sprouts salad with parsnip chips (I think) on top. I’ve seen recipes for raw brussels sprouts salads, but never had one. A+++ would eat again. For dessert we went over to Irwin Street Market and had some Jake’s Ice Cream. They have a couple of vegan flavors on hand. 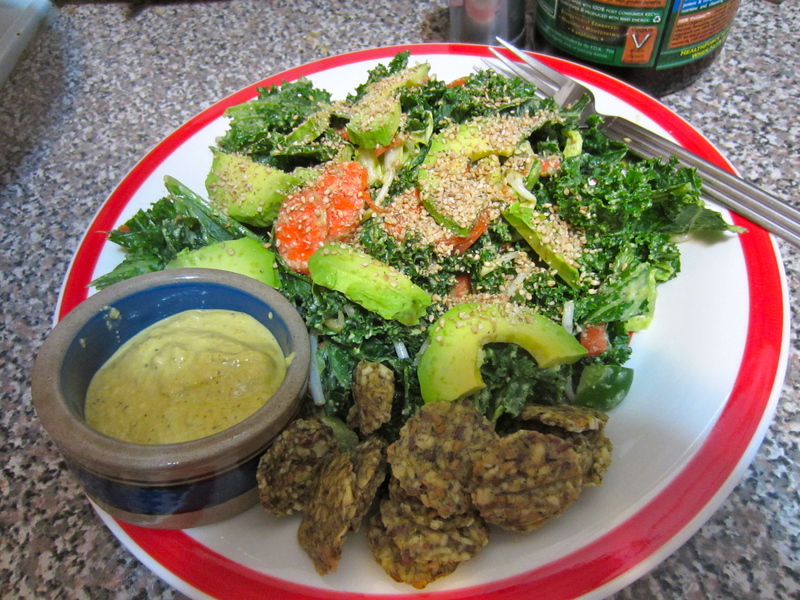 Oh, hey, look it’s that garlicky kale salad that I make all the time. 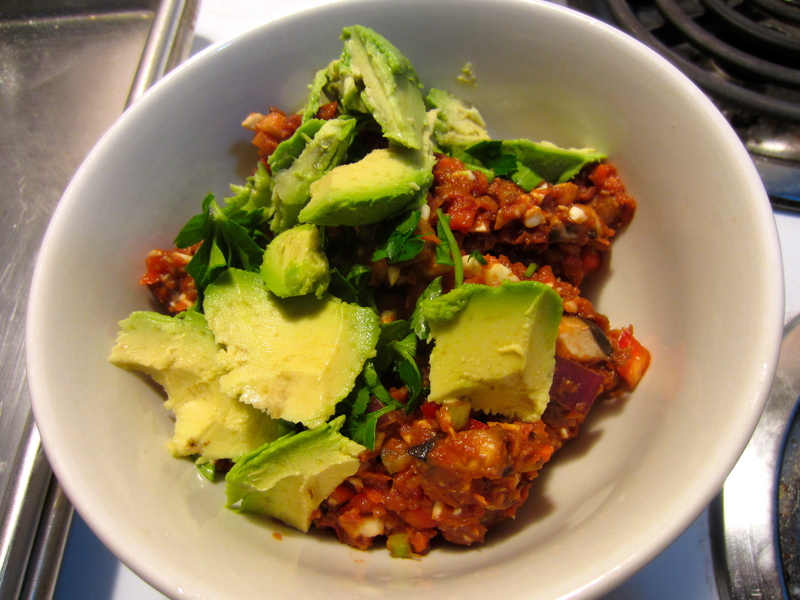 This time it’s the center of the meal with added veggies and some avocado to make it more filling. The little bowl contains Yellow Bell Pepper Pine Cheese from Thrive Foods. We scooped it up with raw pumpkin chips. Crazy good! And this turned out to be plenty of food.